Social Media has pretty much replaced most traditional ways of getting clients and it isn't slowing down any time soon. 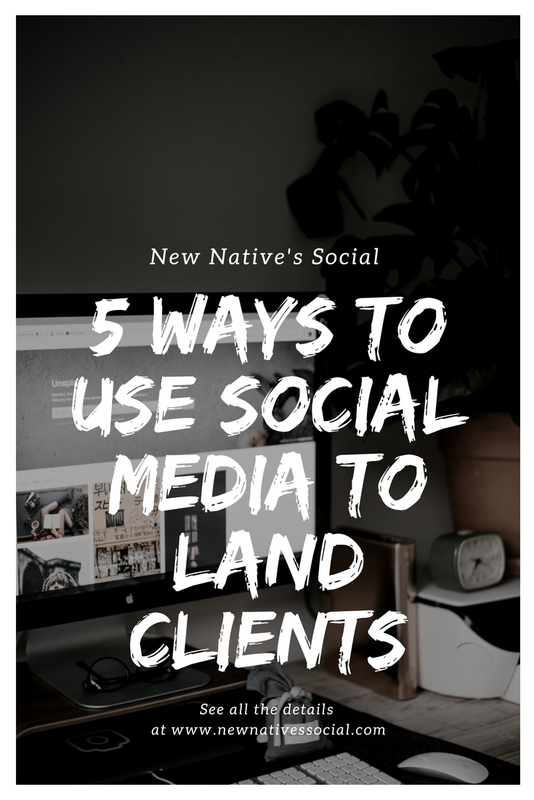 With an ever-changing environment, we are giving you the scoop on some simple ways to use your platforms to land clients. One of the best ways to utilize social media as a tool to land clients is by showcasing yourself as an expert in your field. Don't be stinging when offering up tips, techniques and tools to others. You never know who's watching and willing to send you a referral or work with you based on your generousity. Answering questions, helping others figure out solutions to their problems and being supportive of other's posts and efforts looks good on everyone. Be known as that person who is always engaging with relevant posts and replying to comments in a timely manner. It's important to know the difference in being the light and stealing the light. Being the expert and being a know-it-all who is pushy and comes off desperate will not bode well. Continue to do your thing, perfect your area of expertise and let the people come to you. There's no harm in reaching out but make sure you are not hounding people. It's super important to be consistent in posting, engaging and always being dependable with sharing. People will build an image they can trust and be used to your reliability. This helps when you have the opportunity to turn them in to clients.